Moving house can be a demanding experience. Whether you are moving across Ballarat, Victoria or interstate - Ballarat to Melbourne, Western districts, and beyond.. whichever way your going this task requires a lot of time, organisation and care. 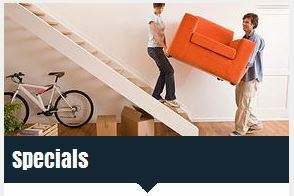 With over 20 years of experience in the removalist industry, Central Highlands Removals, Ballarat offer you a hassle free, comprehensive removal service. From local to interstate, single items to full households we will tailor a package to suit your budget. Are you looking for a cheap removalist? We offer a competitively priced removal system that you will find is cheaper than average but with no compromise to quality, our reviews speak for themselves. Our team of professional movers are able to move your furniture and effects quickly, securely and affordably. We know how to properly pack and transport all household items with care and efficiency. Pianos, pool tables, antiques whatever your needs we have a solution. We offer a comprehensive residential furniture removalist service and wrapping and packaging throughout the Central Highlands area. We service a wide area, from Ballarat to Australia wide. No matter where you are or where you are going, we can help. Our team of removalists take great care in packing, transporting and unloading all of your household items. Feel confident that your family heirlooms and precious items are in the hands of an experienced removalist team. We run a regular Ballarat to Melbourne service with Backloading rates available please don't hesitate to ask our friendly team. 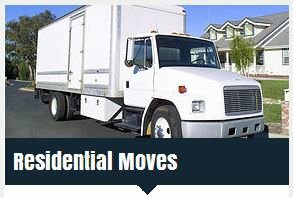 Single items to full household moves cheaper rates are available. 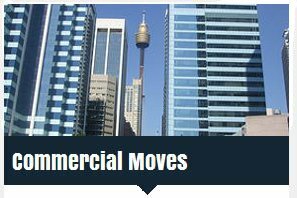 Our Ballarat local removalists will quickly and efficiently move your office or workplace to its new location. We understand that any downtime your business has, while moving, costs you money. This is why we will create a timeline of operations to get you moved in and back to work in a time frame suitable for your company. Every one of our clients has unique requirements. We don’t believe in a ‘one size fits all’ style, which is why we tailor an individual package of services for each and every one of our clients. This way you get the exact level of service you require; nothing more, and nothing less. We offer a professional removal service at a competitive price. With over twenty years experience in the industry we have an option for any move. Local, Country, interstate east to west, north to south, we have Australia covered. We understand that moving house can be a stressful time, our aim is to take all that stress away so you can focus on the important things in life. Comprehensively insured for peace of mind. No job is to big or small we are flexible and will have an option for whatever it is you require. Contact us for an obligation free estimate for your move. Copyright © 2014-2019 Central Highlands Removalists Ballarat - Moving households & offices in Western Victoria. All rights reserved.